I lived in Amsterdam for six months. It’s an incredible, chaotic, cramped, and stunning city. Nothing in the world could compare to Amsterdam’s charm, and hustle. So coming to Utrecht — I knew I had to brace myself for a slower pace, and new way of life, even though it resides in the same beautiful country. But to my own surprise, I had a bit of culture shock all over again. I didn’t brace myself enough for how quaint, and how Dutch, Utrecht would be. English is more scarce, there are far fewer canals, and the row homes feel smaller. And even though I am living less than a five minute bike ride from the center of town, I sometimes feel like I am in suburbia. Luckily this neighborhood is pretty vibrant. There is a bakery, a grocery, and even a few pizza places all down the street. A few cafes are scattered around too, including Sis Bakery just around the corner. I ordered a pesto & tomato sandwich and was the best I’d ever had, and the coffee was piping hot. It doesn’t take much to please me. Just sit me where I can inhale some food, and get my caffeine fix and I will be just fine. But the atmosphere here is quirky and bright, and I might be a regular soon. The Dom Tower is the tallest church tower in the Netherlands. 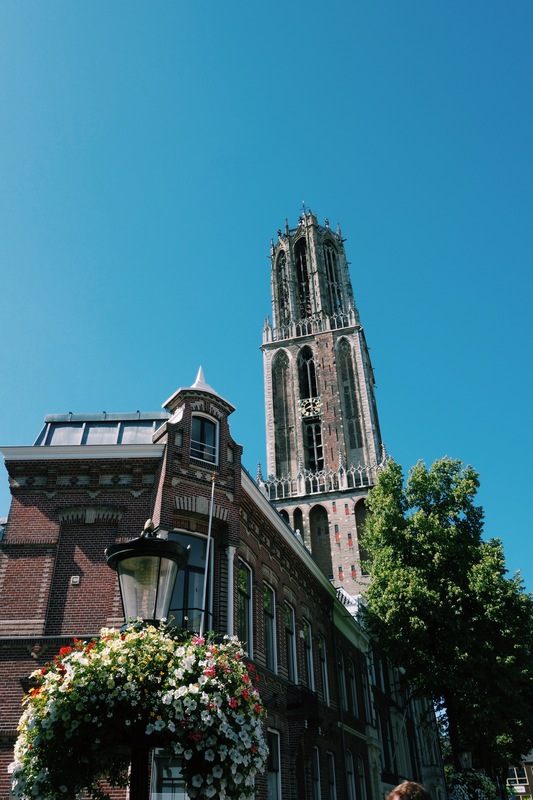 The center of Utrecht is dominated by the Dom Tower, which looms high above the peaked rooftops. Like many Dutch cities the streets are windy, and if you’re not used to them you can get lost easily. So when I found myself at a dead end of an unfamiliar street, all I had to do was look up to the Dom to make my way back to the Oudegracht. The streets are cobbled, and the shop fronts are story-book charming. And even though I make it seem otherwise, Utrecht is by no means small. It is home to more than 300,000 people, and some 30 thousand students flock to the city for studies come September. It’s the third most bike friendly city in the world, and the young and the old who zoom by on bikes all day long remind me of that. I spend my afternoons wandering these new, ancient streets. What I have really enjoyed about Utrecht so far are the artisan and design shops that scatter the center. The typical shopping staples are there, but nestled in the smaller streets off the Oudegracht are the gems. Organic biologische shops, entire shops dedicated to fun gifts, and fairtrade goodies and products are in abundance. It’s fun, and atypical, and makes window-shopping a whole lot more interesting. It was an artisan bike shop where I got the wicker bike basket of my dreams. Now I am exploring my new city on the bike I have been dreaming up for months. Life is good. It’s strange that I have only been here a week. At times I feel so at home here that it seems like months since I left the US. But at the same time, I have so much left to discover that a weeks time really puts everything into perspective. So far, I can say that I really do like Utrecht. It is charming, and has so many of the Dutch characteristics that I missed while abroad. It’s not as chaotic as Amsterdam, but it is a huge change of pace from home — in Hartford Connecticut. I am still pinching myself that this is real, and that I am really here. It’s an exciting time, and a great feeling. I am glad we chose Utrecht. 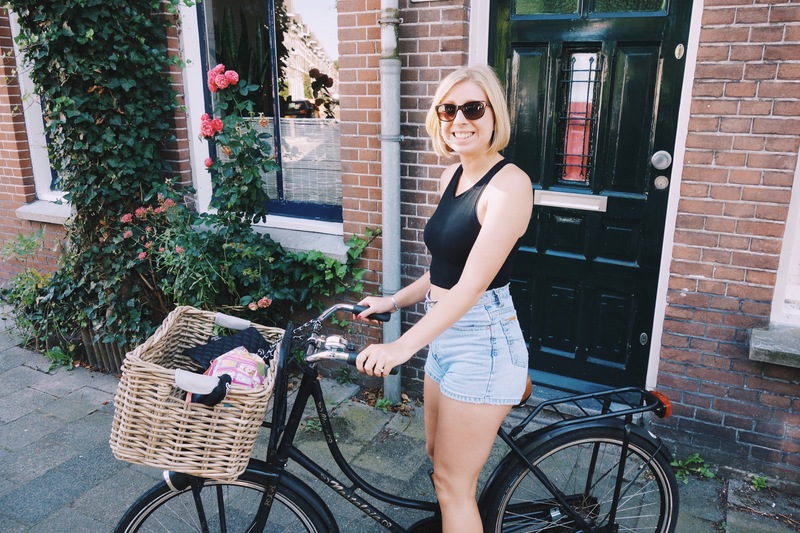 I'm an American expat and freelance writer based in the Netherlands. I gave up a steady job for the chance to live abroad, and start a new adventure. OF COURSE YOU DO. SIGN UP HERE!